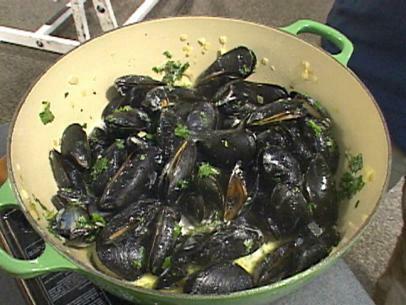 Combine all ingredients except the mussels in a very large pan. 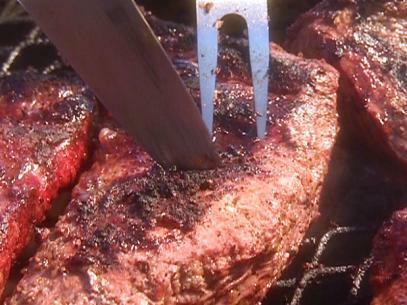 (You may want to tie the more pungent flavorings such as the chile pepper, cloves, and peppercorns in a piece of cheesecloth so they are easy to remove after cooking.) Bring to a boil, lower the heat, and simmer, uncovered for 15 minutes. Meanwhile, scrub the mussels under running water, pulling off the beards. Discard any mussels that are broken or do not close when tapped on the counter. Stir the mussels into the hot marinade. Cover the pan and cook over high heat, stirring them once, until the mussels open, about 5 minutes. Take care not to overcook them or they will be tough. Leave them to cool in the cooking liquid. 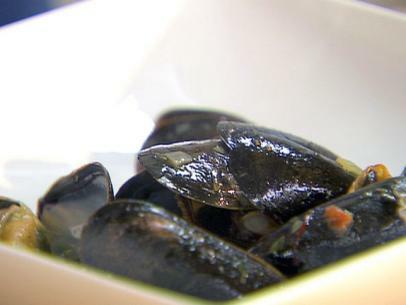 Transfer the mussels to a bowl, with the marinade, discarding any that have not opened. Discard the chile pepper. Cover tightly and refrigerate the mussels for 24 hours, stirring occasionally?they will be plump and absorb almost all the liquid. Let them come to room temperature before serving in bowls, discarding the seasonings in the cheesecloth. Alternative: Serve the mussels at once, while still piping hot. Discard the chile pepper, or the bag of seasonings if used, and taste the broth. If you find it too spicy, stir in some cream. 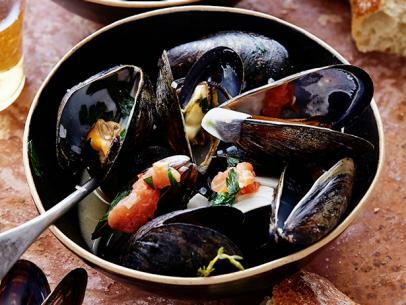 Serve the mussels with plenty of bread.